Glenn Bernie Jeffcoat 86, of Titusville passed away peacefully surrounded by his loving family Monday April 1, 2019. Bernie was born in Winnsboro, SC to the late John and Hattie Jeffcoat. Bernie was a member of Faith Baptist Church in Titusville. He was a United States Navy veteran. Bernie retired from NASA and was known by his nicknames of Lightning and Bo. He also was awarded the Snoopy Award. He was very instrumental in making the first lightning mast for the launch pad. 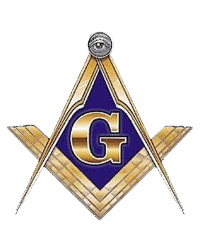 Bernie was a member of Indian River Lodge #90 F & AM and Past Master in 1996, also a member of the North Brevard Shrine Club and Azan Shrine Club. Bernie is survived by his loving wife of 62 years Lilly, daughter Jennifer Hallman ( Scott) grandsons Colemen Hallman, Jake Hallman and Malachi Ruffalo. He was preceded in death by his son Glenn Bernie Jeffcoat, Jr. Calling hours will be Saturday from 12-2 Saturday with the service to follow at 2 all in the chapel at North Brevard Funeral Home in Titusville. A second service will be held at 3 pm Wednesday April 10, 2019 at Fairfield Baptist Church. The family will receive friends from 1-3 pm at the church. Burial will follow the service in the Church Cemetery in Winnsboro, SC. In lieu of flowers, donations can be made to Hospice of St.Francis 1250 Grumman Place, Titusville, FL 32780 (www.hospiceofstfrancis.com/donate) or Faith Baptist Church 1220 N. Carpenter Road, Titsusville, FL 32796 (www.faithfulbaptist.com/giving).